Can't Get Rid of Your Sinus Pressure & Headache? Inflammation of the sinus cavities (those hollow spaces in your skull around and behind your eyes and nose) is referred to as sinusitis. The inflammation makes the mucous membranes lining your nasal passages and sinuses swell, which interferes with airflow into and drainage out of the sinuses. 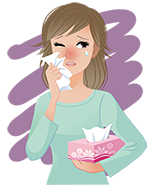 For most people, sinusitis will run its course in a few weeks after treatment with home remedies and over the counter medications. Sometimes it may require a visit to the doctor for prescribed antibiotics or medications. Has Sinus Pain Become a Part of Your Everyday Life? If you find your sinusitis symptoms linger past 8-12 weeks, or keep coming back after multiple trips to the doctor and treatments that don’t last, you may be trapped in a frustrating cycle of sinusitis. Your symptoms are really getting frustrating – you feel bad all the time, treatment is getting expensive, and you’re missing out on work and family events. You really don’t want to face traditional sinus surgery, so what now? Now there is an alternative to give you relief from sinusitis! 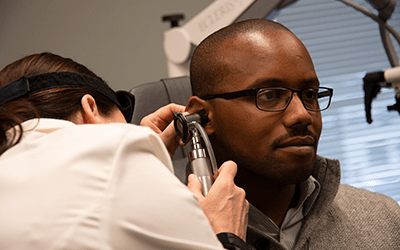 Everyone with sinus misery is not a candidate for Sinus Balloon Dilation, but the first step to find out what solution is right for you is to be evaluated by one of our ENT specialists. Relief for your Chronic Sinusitis is available now!